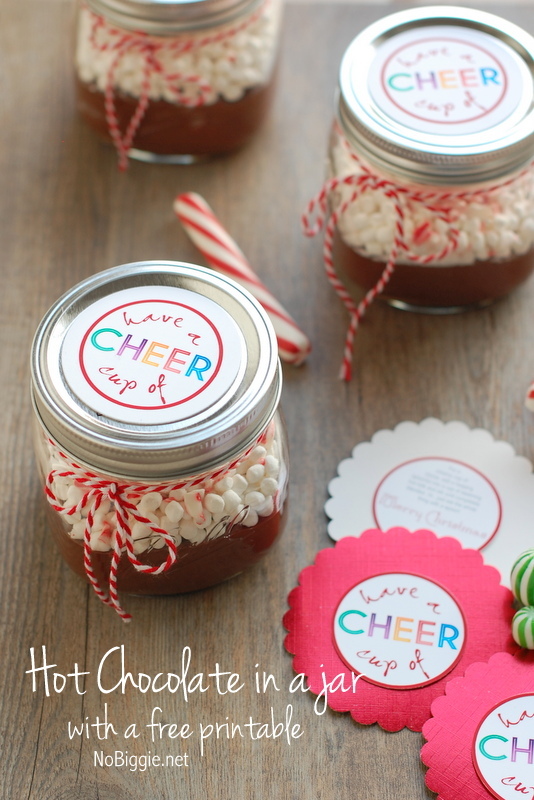 Here’s a sweet gift idea that would be fun to give: Hot Chocolate in a jar with a “Have a Cup of Cheer” free printable gift tag. 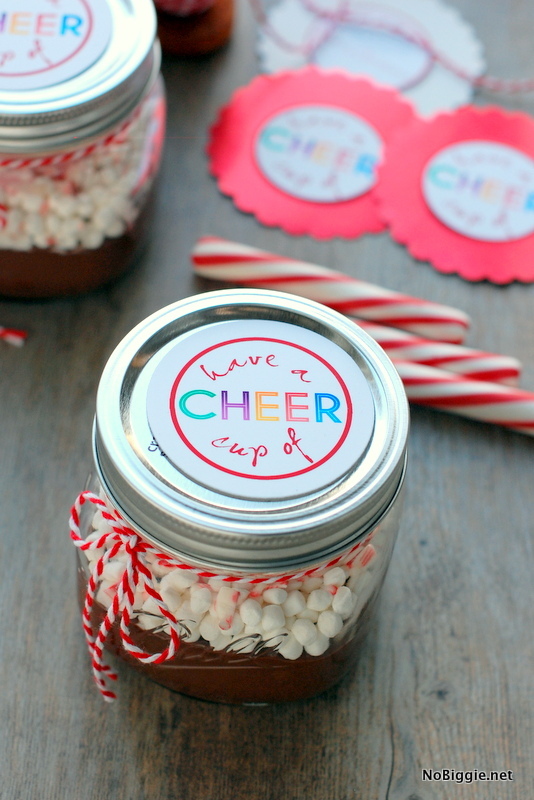 This recipe for Hot Chocolate in a jar is different than most gifts like this with dry ingredients…think more like Hot Chocolate on a stick, only in a jar and extra creamy. – 2 bags of really good milk chocolate chips. 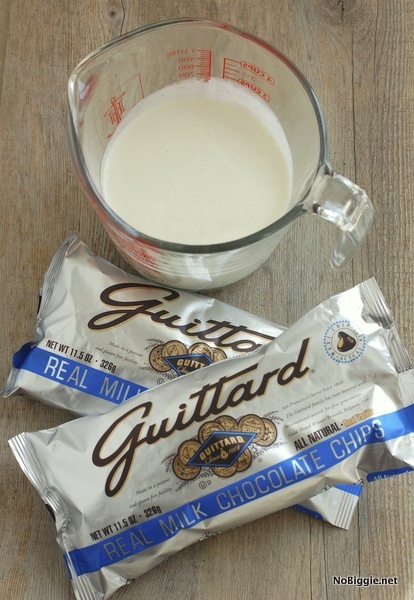 Guittard is the best! Directions: Heat the cream in a sauce pan until it’s very hot, stirring while it heats. 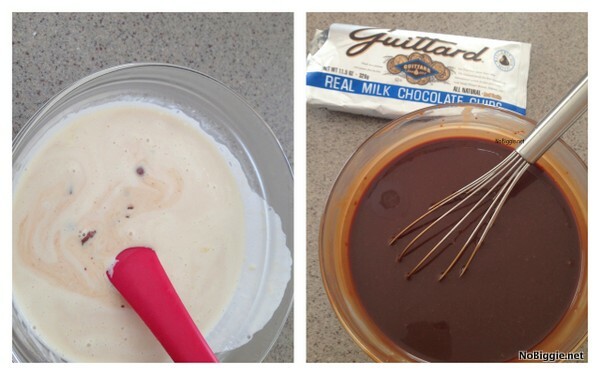 Now pour the cream over the chocolate chips in a glass bowl. Mix together until completely combined and the chips are all melted. Cover the bowl with plastic wrap and chill in the fridge overnight. Now for the fun part. Scoop out big scoops of the thick chocolate mixture into 16oz. wide mouth mason jars. I love the size of these little jars! A wide mouth jar is a good idea for this gift to allow for easy scooping. 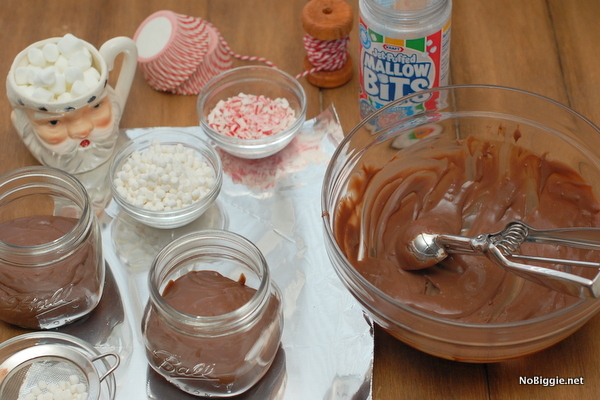 Now top with those mini marshmallows called mallow bits, the teeny ones along with crushed candy canes. Store these jars in the fridge until you’re ready to deliver. Also let the recipient also know to keep their jar stored in the fridge. This mixture – chocolate ganache is good in the fridge up to two weeks. To serve, just scoop out a big spoonful and stir into a steamy cup of hot milk until blended. It makes for a really creamy cup of hot chocolate. 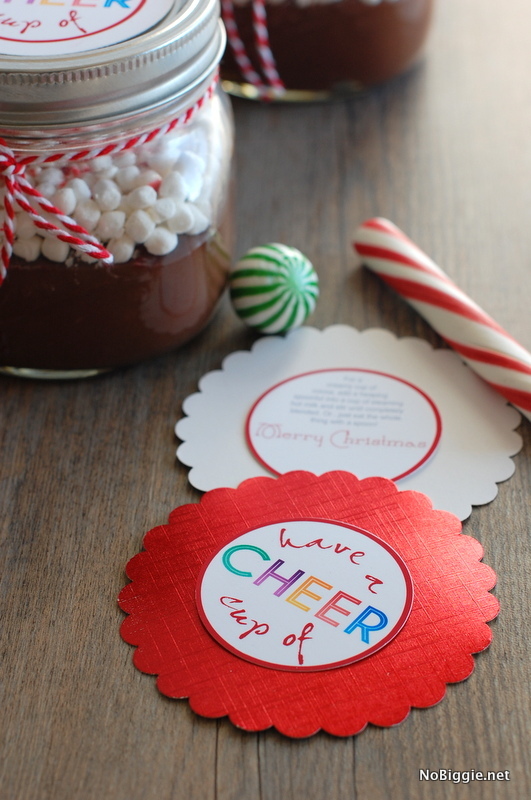 Now for the fun gift tag to go with. 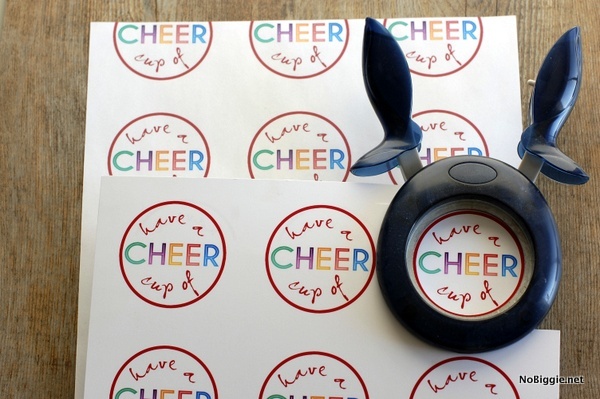 Use a 2 inch round craft punch to punch out these little tags. You can mount the little tags on bigger round circles if you’d like. The other little tag has a spot for you to sign your name and it includes directions to go with the gift. It’s a fun gift to give and to eat. *All printables on NoBiggie.net are for personal use only and are for NoBiggie subscribers…thank you for subscribing! So cute – always looking for cute, fun and EASY gift ideas! What a cute idea! I love it. I will have to try this. Thanks! What kind of cream do you use? I love this and will be doing them for my volunteers at church. About how many mason jars would you say you can do with one batch? Thank you! Hi Amy! It really depends on how full you want each one. I’d opt for small wide mouth jars, it’s pretty decadent, so you don’t need to fill them totally full. WHERE IS THE PRINTABLE FILE?? So, I paid the one dollar…where’s the download?? Where is the printable file? Thanks! Love the idea! Trying it with my students! I paid for the file but was not directed to a download. Where is the file? I’d like to print these tags today if possible. Perhaps it could be emailed to me or my $1 can be refunded? I paid, but did not get an e-mail with the download…. now what? Hi Kay! What email account do you have linked to your PayPal Account? If you could do a quick check and if you can’t find it, I’m happy to resend. 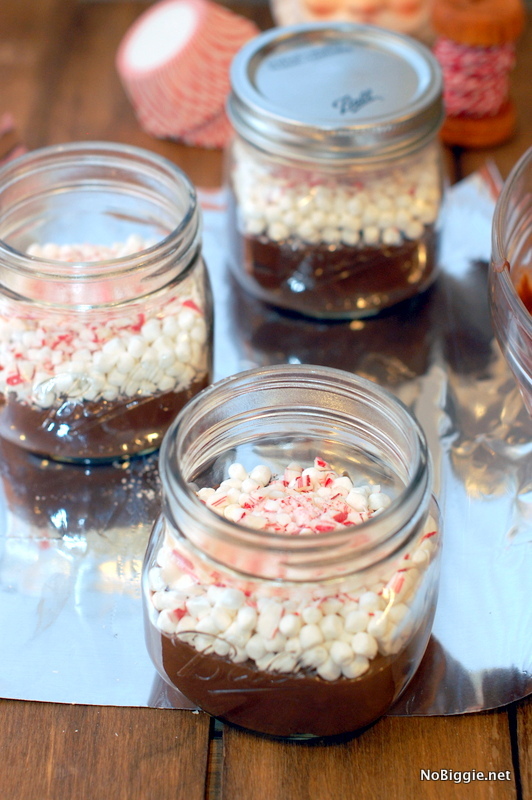 Is there any reason not to pour the melted mixture directly into the jars and let it cool in there? It seems like that would be less messy but I wasn’t sure if there was a reason I don’t know about. Thank you. Everyone I have made these for so far has loved them! you can totally pour in while hot! Hi Tori! Just sent you the printable File! Thank you!